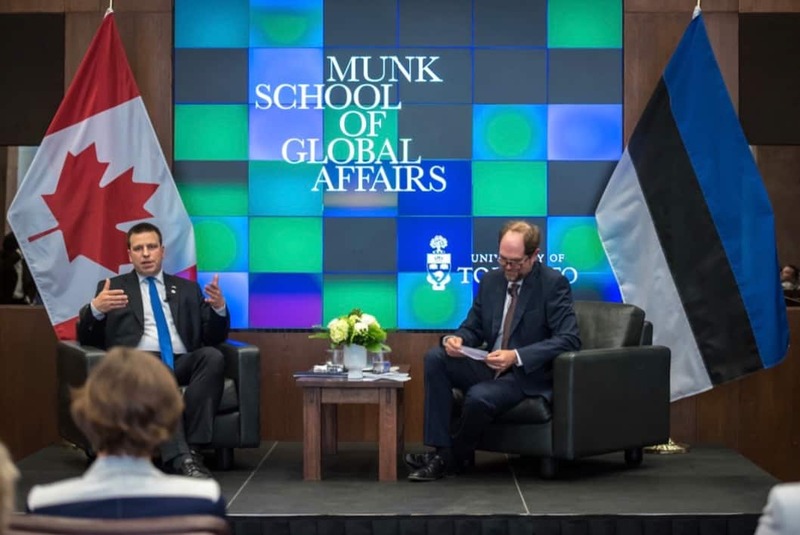 Jüri Ratas, the Prime Minister of Estonia, spoke about digitized societies at the Munk School of Global Affairs on May 25. The talk, titled “Acting Digital — New Technologies and Statehood: The Estonian Case,” discussed how Estonia has leveraged technological advances to transform itself in the last 100 years since independence. The prime minister’s speech was followed by a Q&A session moderated by Andres Kasekamp, Chair of Estonian Studies at the Munk School.